Creepy clown sightings are making headlines yet again, instilling fear in the hearts of many unfortunate souls across the country. Whether spotted lurking in the woods, loitering around children’s play areas, or brazenly walking around public parking lots, clowns are downright spooky. It’s no surprise that sales of evil clown masks have skyrocketed in recent months, as more cities are seized with sightings of these unnerving symbols of terror. As experts on all things creepy, spine-chilling and gruesome, The Horror Dome understands the panic-inducing hysteria that clowns have on our public consciousness. There is something inherently sinister about their warped grins, their manic joy and trickster behavior that makes us feel very uncomfortable. People of all ages have been creeped out by clowns long before Stephen King’s Pennywise came along, and frightening Bozo sightings have fueled this collective fear. Psychologists say that clowns set off alarm bells in the human psyche. Their unruly appearance, painted faces, and weird behavior makes them unpredictable and therefore threatening. Clowns have historically been a bit mischievous, but thanks to “killer clown” John Wayne Gacy, who slayed 33 people in the early 1970’s, their reputation spiraled downward quickly. Many would lay blame on Stephen King’s famed novel “IT,” which sparked clusters of Pennywise appearances ever since it hit bookstores. Last year’s remake of the epic horror movie sparked a surge in evil clown sightings in cities both large and small. The Wisconsin State Journal reports that two men, one of whom was dressed in a clown costume, scared some young children outside of Madison. Both were reportedly carrying knives. 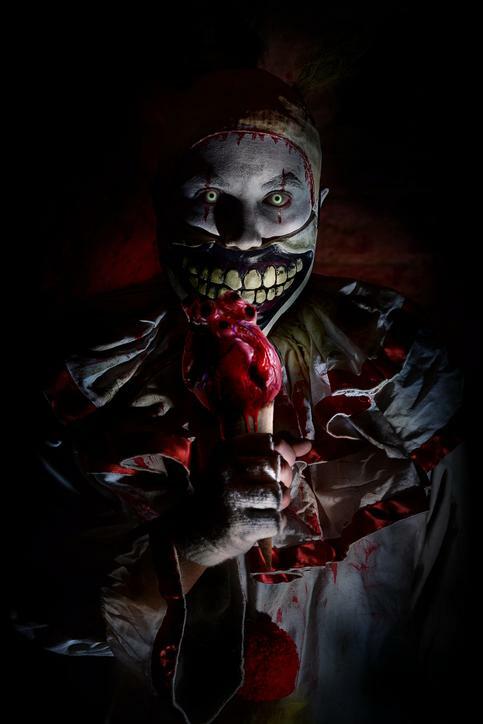 In Fargo, North Dakota, a creepy knife-wielding clown was purportedly spotted talking to children asking if they wanted to see a dead body. Police investigated claims made by a 12-year old in Pottsville, PA who says person dressed as a clown chased her through a park before disappearing in the woods. A group of scary clowns were spotted jumping in front of traffic in Brentwood, Long Island. A person in clown attire was caught on video holding on to a moving bus in Detroit. The incident gained widespread notoriety thanks to social media. In Phoenix, Arizona two fast food restaurants were robbed by suspects donning clown masks. Whether pranks, hoaxes or publicity stunts, clown sightings come in waves, and often coincide with the Halloween season when spooks and hair-raising scares are part and parcel. Halloween is fast approaching. How will you instill terror and fear this October 31? 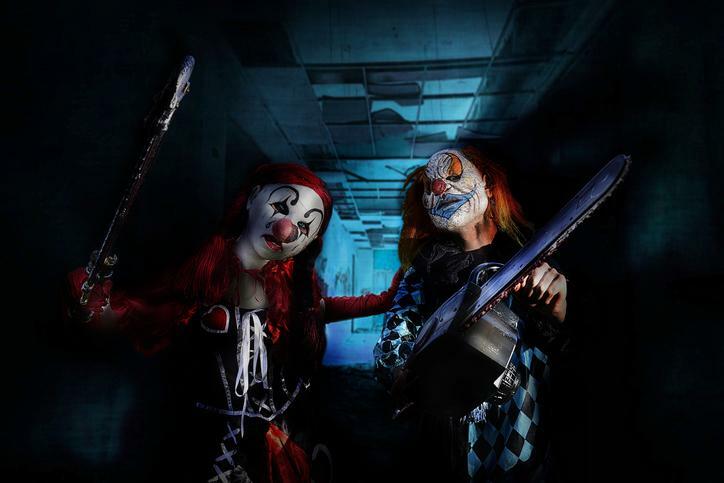 From killer clown masks and ghastly zombies to flesh-eating ghouls, The Horror Dome has the best selection of professional Halloween costumes available. Our products are meticulously crafted by talented artists and are almost too realistic. 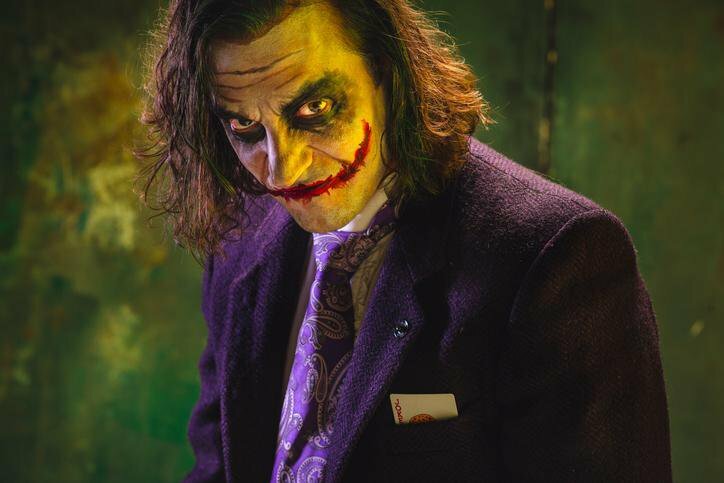 Transform into the ultimate villain with our movie-quality masks, full-body costumes, wigs and accessories. You won’t find a more varied collection of monster feet, bloodied vampire hands or outsized clown shoes anywhere! Slate, The Wave of Evil Clown Sightings Is Nothing to Worry About. It Happens Every Few Years!